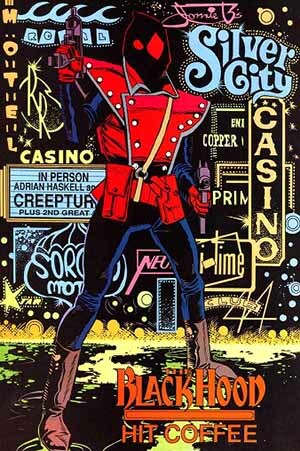 Religion: cursed to "do only good"
First Appearance: Black Hood (vol. 2) #1 (Dec. 1991): "Justice. No Waiting!" Black Hood (vol. 2) #1 (Dec. 1991): "Justice. No Waiting!"